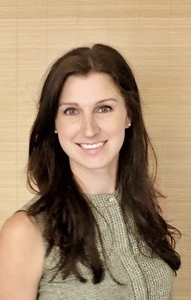 Samantha Haigler Nevins, MPH is a public health professional with over 18 yeas of experience teaching, developing, and implementing health programs. She has represented state and national agencies on various evidence-based projects focusing on nutrition education, and chronic disease self-management. She holds a Bachelors of Science Degree in Health Promotion and Foods and Nutrition from Appalachian State University, and a Masters in Public Health in Maternal and Child Health from the University of South Florida. In 2006, she was selected as a finalist for the Tampa Bay Business Journal Health Care Hero Award. Samantha is a fourth generation Florida native, who enjoys running and spending time with her husband and two young daughters. 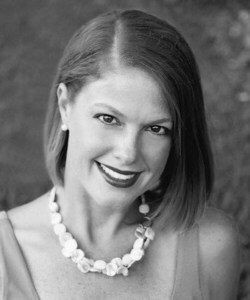 April Newman, MS, RDN, LD, is a registered, licensed dietitian nutritionist in the Tampa Bay area who specializes in helping patients and clients to take charge of their health, finding practical ways to apply core nutrition concepts to their everyday lives. Her professional background includes work in the hospital with inpatients, outpatient counseling, conducting clinical research, and teaching in both collegiate and non-profit settings. She completed her Bachelor of Science degree in nutrition and dietetics from the University of Minnesota, before working with a large-scale, federally-funded clinical research trial investigating the effects of green tea on cholesterol in postmenopausal women. She received her Master of Science degree in human nutrition from the University of Minnesota with a minor in integrative therapies and healing practices, and completed her dietetic internship with The Emily Program in the Twin Cities area. 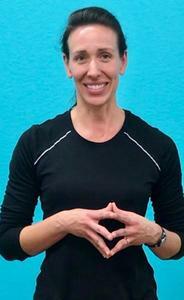 Sarah Schaber, RN is yoga instructor and registered nurse who has worked extensively with the older adult population. She has been a yoga instructor for ten years, with practice and certifications in Hatha, Yin, Kundalini, Senior, Baby and Me, Babywearing, Children, and Prenatal yoga disciplines. She believes that yoga is for everyone and loves being able to help people to find mindfulness, relaxation, strength and flexibility, and appreciation for their amazing bodies. 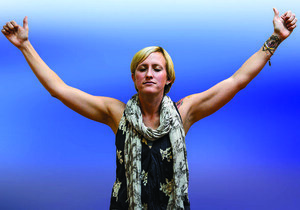 She has experienced and seen first-hand the benefit of regular yoga practice in many different lights. Katherine Coffee Janus, Ph.D. is the newest member to the AWI team. She has over 20 years’ experience working with active older adults in the health promotion field. Katherine is a native of Texas with Florida roots; her grandmother was born and raised in St. Augustine. Lake Austin Spa Resort, Katherine pursued a M.Ed. in Health Promotion from the University of Texas (UT). In culmination with her Masters, she completed her 200-hour Registered Yoga Teacher (R.Y.T.) training as well as her certification as a HeartMath® Coach/Mentor. Katherine continued her graduate studies at UT and received her Ph.D. in Health Behavior and Health Education. Katherine holds several professional health and fitness certifications accredited by the National Commission for Certifying Agencies (NCCA). She is a Certified Exercise Physiologist (EP-C) with the American College of Sports Medicine (ACSM), a Certified Fitness Nutrition Specialist (FNS) with the National Academy of Sports Medicine (NASM), and a Certified Group Fitness Instructor with the American Council on Exercise (ACE). In addition to AWI, Katherine also works with the YMCA of the Suncoast as a Health Specialist facilitating programs such as diabetes prevention, weight loss, and blood pressure self-management. She and her husband TJ enjoy coastal living and golf-carting through downtown Dunedin with their two dogs Sarge and Spike.